The Trail’s End staff recruiting season is in full swing. We have spent the past few months attending domestic and international staffing fairs with one goal in mind – to find the best role models, mentors, coaches and counselors to help create the 2015 Trail’s End Experience for our campers. Sara recently traveled to England, Scotland, Budapest, Prague and a number of US colleges. With the help of some TEC alumni and current staff members, we were able to hire many talented college students. Throughout March, April and May we will be continuing our search at universities in the US, Canada and overseas. In order to get a sense of what the TEC Experience is all about, we caught up with current staff member, Marielle Berger. She has been a part of our community for the past 16 summers. It is hard to believe that in 16 Saturdays I will once again be back at the most amazing place in the world. Trail’s End Camp has been my home away from home ever since I was 9 years old. I began this incredible experience as an Upper Buddie in 2000. My camper years were magical and helped me grow to be the person I am today. 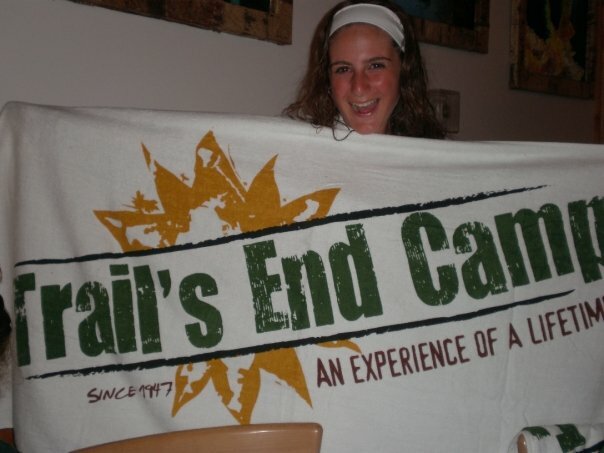 After 8 summers as a camper, there wasn’t even a question whether or not I would be returning to Trail’s End as a staff member. 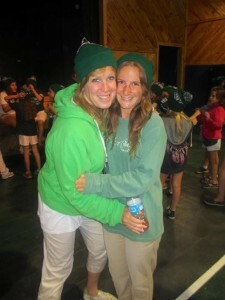 As I am writing this, so many crazy camp memories are on my mind. One of my favorites is when we would spend Free Play practicing for the Talent Show – we would pick out matching outfits to wear and our counselors even dressed up with us. Practicing for Sing is another one of my favorite memories, especially when I was a Trinity and we won Sing for the first time! Square Dancing with Lou and Sue Flego has always been one of the best nights of camp – dressing up in all different costumes with my square was fun and exciting. I remember going on my first roller coaster in Hershey Park when I was in the Middies, and hiking and going on the Delaware River when I was a Deb. When I entered Varsity, camp changed for me in a way that I never would have imagined. My connection to TEC became even greater. Being a leader for all of camp during College Day and Olympics is something I will never forget. I have to say that my final camper summer, my LT year, was my favorite summer of all. My friendships grew tighter as we were inseparable traveling to college campuses and to Utah. The 10-day Western Adventure was truly an experience of a lifetime. Living on a river with my best friends and experiencing a part of the country that none of us had ever been to, was the perfect way to end my 8 years as a camper. While many of my friends ended their TEC days after our LT summer, I never wanted to leave Beach Lake and was determined to give back to future campers all those great things that Trail’s End had taught me. In 2009, I was hired as a counselor for the Upper Buddies. It is hard to believe that the campers from my very first summer will now be Second Years in Varsity! After 3 summers working with the Upper and Lower Buddies, I took on the role of Tour Director. Showing people from the outside world the amazing place that so many of us call home for two months of the year is something that I take great pride in and I love to do. After a summer as Tour Director, I was offered the opportunity to be a Group Leader for the Upper Buddies. As an young educator, I have learned so much from this position and I absolutely love being the person that helps get our new campers started on their TEC journey. 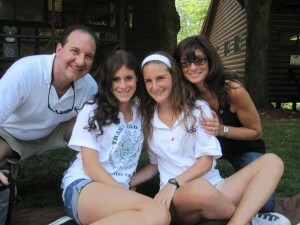 It is so gratifying supporting them as they become part of our camp family. I will forever remember the feeling I had when Marc awarded me a Community Service Award during Friday night services. As I received the award and then looked up, all of my campers from the past couple of summers came running down the hill to congratulate me. Everyone at Trail’s End is truly my family. As I enter my 8th summer as a staff member, this summer once again brings about a new and exciting change for me as I will be Assistant Girls’ Head Counselor as well as Group Leader for the Buddies. 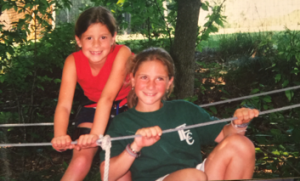 I am overly excited to be working even more closely with Steph Fineman, the Girls’ Head Counselor, and Lindsay Bernstein, as my assistant Group Leader. I can’t wait to be in this new role, and to continue working with the campers on girls’ campus. My love for TEC grows each year, and I look forward to spending the summer of 2015 with all of you! 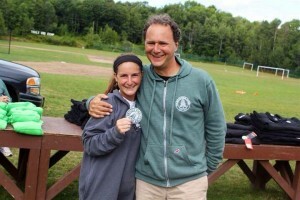 This entry was posted in Reunions, Staff and tagged 18405, Alumni, Camp Family, Connections, Friends, Home, Reunions, Spirit, Staff, Summer 2015, Summer Camp, Summer Home, Sunshine, TEC, Traditions, Trail's End Camp on March 14, 2015 by Sara Fetterhoff.